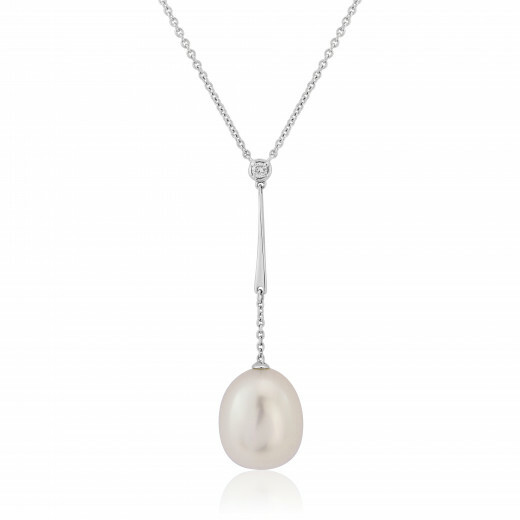 A single classic 10mm white Pearl is brought up to date with a slim, elongated bail topped with a Diamond. The Pendant hangs on a fine White Gold chain and each part moves freely as you do. 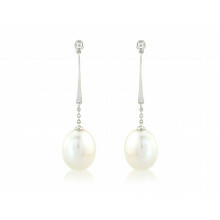 An elegant piece for both contemporary and traditional jewellery lovers.